Newly moved from the Eastern Conference to the Western Conference, Sporting Kansas City has lots to prove in 2016. With seasoned players like US national team members Graham Zusi, Matt Besler and Benny Feilhaber along with Argentine star Claudio Bieler, fans are excited to see what the first Western Conference season has in store for Sporting KC. Since the move to Sporting Park in 2011 and the rebranding of the team to become Sporting KC, the club has enjoyed tremendous success. In 2011 and 2012, Sporting Kansas City has finished the regular season with the best record in the Eastern Conference. In 2013, they defeated Real Salt Lake to become MLS Cup Champions. In 2014, they finished 5th in the Eastern Conference. After years playing home games in massive Arrowhead Stadium, home of the Kansas City Chiefs, Sporting KC moved into their state-of-the-art stadium in 2011 and it is truly one of the great sports venues in the country. At the north end of the stadium you’ll find (and CERTAINLY hear) the chants and cheers of Blue Hell, the team’s inimitable supporters group. Located in the West Village section of Kansas City, Sporting Park is surrounded by TONS of dining, shopping and entertainment options. Spend the day (heck, spend a bunch of days) in the area and cap it off with an electrifying Sporting KC match and see one of the best teams in MLS. With tremendous fan support and one of the best soccer stadiums on the planet, Sporting KC tickets are a must have. Get out and see the action with extra savings from ScoreBig. Our process for purchasing cheap Sporting Kansas City tickets is simple and fast. There are so many online ticketing sites, that it can be hard for customers to find the right place to buy Sporting Kansas City tickets at the cheapest price. At ScoreBig we think of our customers first and foremost. We offer daily deals for Sporting Kansas City events, so our customers can get the best seats for the best prices. ScoreBig will always go above and beyond to offer the cheapest Sporting Kansas City tickets on the market. The Sporting Kansas City schedule above, displays all available events for 2019 and 2020. Once you find the event that you would like to go to, click the red “Get Tickets” button. It is located on the right-hand side of the event listing, it will take you to an Sporting Kansas City event ticket page. ScoreBig's event ticket page will display all available Sporting Kansas City tickets for that event. On the event ticket page to help with your search for the right Sporting Kansas City tickets, use the filters at the top to select quantity, price range, and more. There is also an interactive seating chart so you can pick where you want to sit. When you are ready to buy a ticket, click on the listing, and you will be directed to ScoreBig's checkout page. Upon completion of the information fields, your order will be processed and your Sporting Kansas City tickets will be delivered via email, mail, or to your mobile device. What makes ScoreBig’s site stand out from the rest? We are constantly analyzing our competitors to improve our site, service, and prices. ScoreBig.com employees strive to offer the best process and experience to buy cheap Sporting Kansas City tickets. Our goal is to get you the best seats to Sporting Kansas City events. We offer daily discounts on our site and for special promotions check out our newsletter. If there are no Sporting Kansas City events currently available, you can use our search feature at the top of the page to see a list of all popular events going on near you. No matter your price point, we have all the best deals and discounts on Sporting Kansas City tickets. For more information on prices of Sporting Kansas City tickets and the schedule for Sporting Kansas City, check out our listings above. The last thing you want to find out is when the Sporting Kansas City event you wanted to go to is sold-out. Don’t worry in many cases ScoreBig has affordable tickets to sold out events. We sell tickets from GA all the way to premium seating and parking. Skip the scalpers in the parking lot and get your tickets online from top Sporting Kansas City ticket brokers. We get you in all events, buy your Sporting Kansas City tickets here from a brand that many trust and rely on for all their ticketing needs. ScoreBig offers a 100% money-back guarantee. If you have been in search of cheap tickets for Sporting Kansas City, ScoreBig by far is the best option. That’s why ScoreBig has more loyal customers than any other ticketing site. 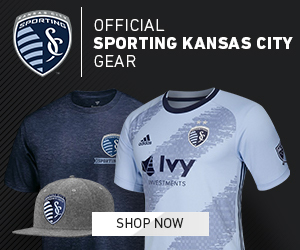 Shop at ScoreBig for safe and secure Sporting Kansas City event tickets.